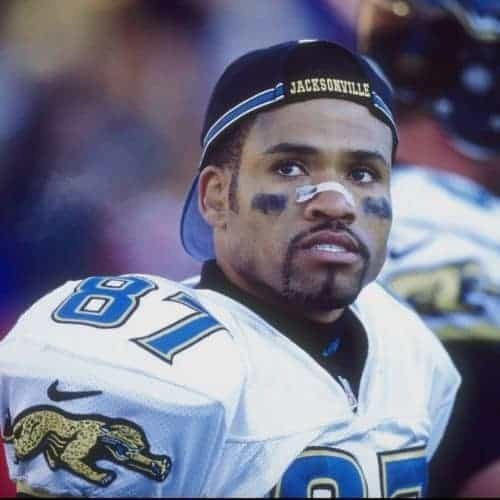 Keenan McCardell is a former American football wide receiver who played 17 seasons in the National Football League. He played college football for the University of Nevada, Las Vegas. He was drafted by the Washington Redskins in the 12th round of the 1991 NFL Draft, and he was also a member of the Cleveland Browns, Jacksonville Jaguars, Tampa Bay Buccaneers, San Diego Chargers and Houston Texans. A two-time Pro Bowl selection, McCardell won two Super Bowl rings, with the Redskins in 1991 and the Tampa Bay Buccaneers in 2002. He is currently the wide receivers coach for the Jacksonville Jaguars.